Bollywood superstar Salman Khan's father and famous writer Salim Khan, who wrote films like Trishul and Deewar, is one of them who always like to share their views unbiasedly. Now the famous writer has given his views on why films like Jab Harry Met Sejal and Tubelight flopped, while Toilet-Ek Prem Katha did well at the box office. Even though Salman Khan is his son but he openly has criticised his son for choosing 'unfit' role in Tubelight. Talking about the Tubelight, Salim said that the role which Salman played didn't suit him because Salman's fans don't like to watch him crying and beating up by the villains. That's why his character in the film was very weak. Highlighting the reason because of which films of Shah Rukh and Salman got flopped, Salim Khan said, "I think the lack of good writers is the reason why the bad films are being made." Salim Khan expressed his happiness about Akshay's Toilet Ek Prem Katha doing good and on this, he added, "I have seen Akshay changed himself a lot in the industry and I believe he has made him much better than Salman, Shah Rukh, and Aamir Khan. Today Akshay is one of the actors who is fit to any role." 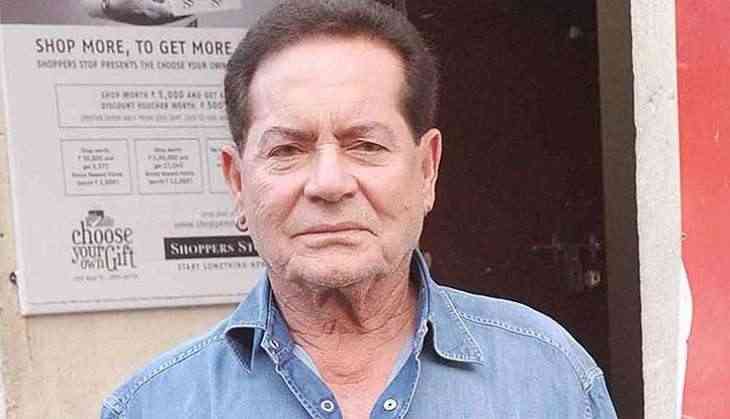 Salim Khan also targetted directors for doing experimental movies with superstars when they know the characters and the stories are not fit to the superstars.